CLERMONT — As more people continue to move to south Lake, more hospital visits are inevitable. The increasing population prompted action by South Lake Hospital, which recently added 18 in-patient beds and also opened a 30-bed rehabilitation unit. Founded in 1947 when south Lake was a rural outpost, the hospital now has 170 licensed beds. Clermont, Lake’s largest city, saw its population increase 10.4 percent between 2010 and 2014 to more than 31,000, according to the state Office of Economic and Demographic Research. The growth rate in Groveland during the period was even more dramatic —nearly 21 percent. The city’s population exceeds 10,500, figures show. Recently completed South Lake Hospital projects also include the renovation of the emergency department triage area, the addition of a new magnetic resonance imaging (MRI) suite located inside the hospital and cardiac-rehabilitation services. Hospital representatives said the hospital last year saw more than 50,000 patients in the emergency department and the additional in-patient beds and improvements will help accommodate anticipated ER visits, admissions and more. Tracey Meyers, South Lake Hospital medical-surgical unit nurse manager, said the nursing staff was fortunate to work closely with hospital administration throughout the expansion process — from inception to design — and were able to make recommendations based on their day-to-day expertise. The new short-term rehab facility, called the SkyTop View Rehabilitation Center, features private rooms equipped with a large bathroom, internet access, natural light and plenty of room for loved ones to visit. The primary focus is on orthopedic patients and features a large rehab room with mock kitchen and dining room, an activities center, outdoor mobility garden, outdoor putting green and specialized equipment to prepare patients for their return to daily activities at home. Moore said another positive impact from the expansion is the addition of about 80 new jobs. 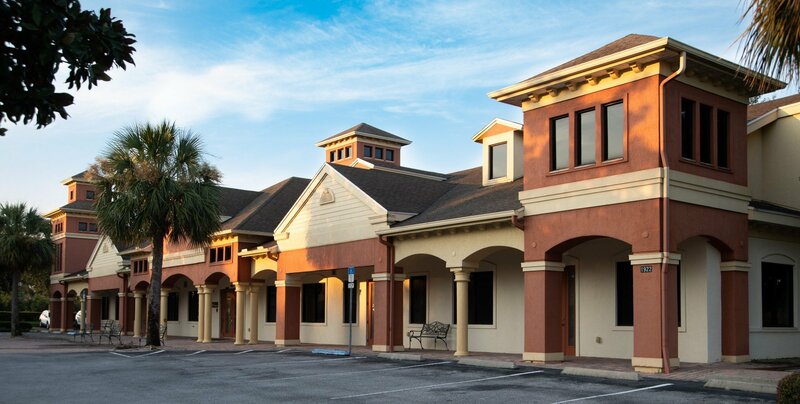 The hospital, affiliated with the Orlando Health Care System, has 1,100 employees and more than 200 physicians on its medical staff at its LiveWell Campus at 1900 Don Wickham Drive.